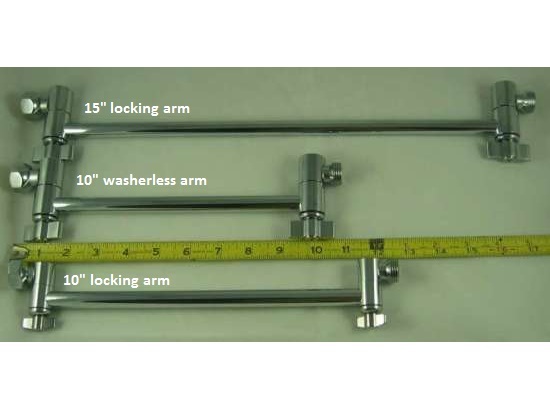 Our locking extension arms are designed to hold very heavy shower heads like our 9" Country Club RainStorm Showerhead or the Giessdorf 8 Jet Shower head. Since these arms lock into place, they must be loosened and re-tightened every time you move the shower head up or down. This should be done with the water turned off. We do not recommend this extension arm except for heavy shower heads or in cases where you will not be adjusting the height of the shower often. 3. Move extension arm to desired height, retighten wingnut. Both the joints are locking joints. When you raiser or lower the shower head, this will change the angle that the shower head sprays. 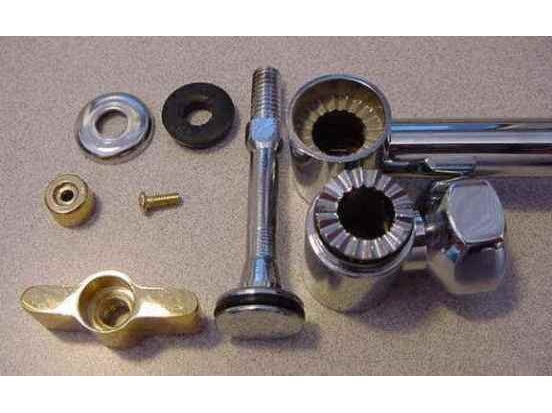 You must also loosen the 2nd winghut, adjust the angle of the shower head and then re-tighten the wingnut. 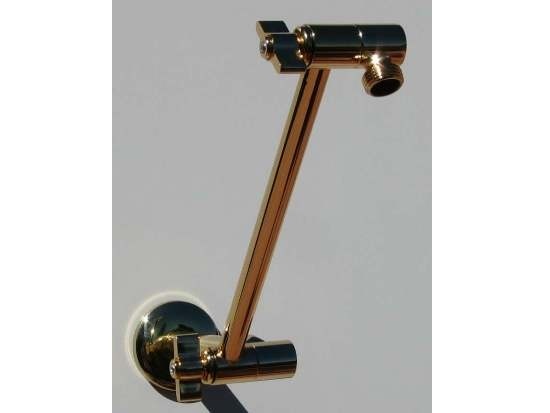 White the locking brass extension arms are perfect for many customers, you may want to look at our washerless brass extension arms as well. 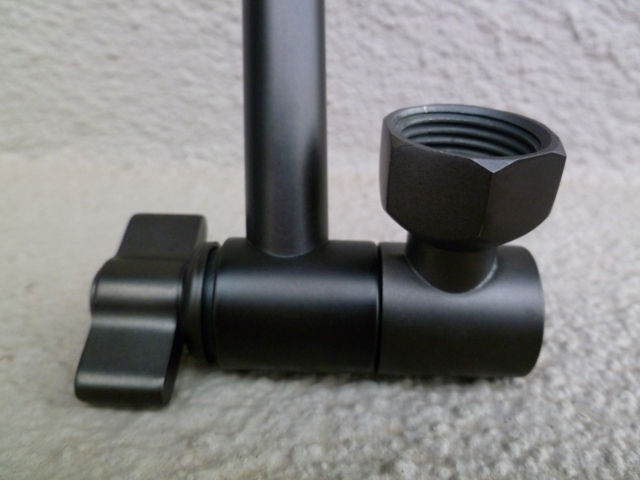 PLEASE READ THIS BEFORE ORDERING THIS EXTENSION ARM - The wingnut is held into place by a stainless steel locking screw. This prevents the wingnut from being backed off more than 1 turn. If you try and force the wingnut to back off further than necessary, it is possible to exert enough force and break this screw. NEVER force the wingnut further than what is easily backs off to. 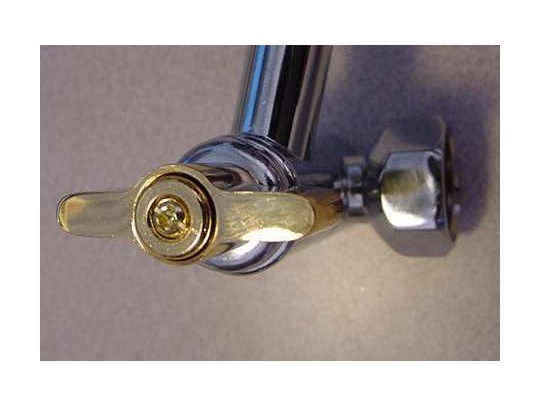 The locking mechanism is designed tihs way so that the wingnut cannot be backed off too far and the extension arm cannot come apart when simply raising or lowering the shower head. Available in two lengths - 10 or 15 inches in the following finishes: Chrome, Brushed Nickel. Oil Rubbed Bronze or Titanium Gold. 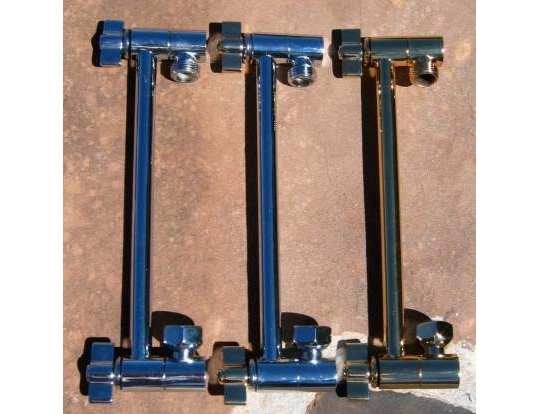 Extension arms are made out of brass. Brass is not a hard metal or steel. If you try and tighten an extension arm using the arm as a wrench or lever, it will bend. We hand inspect every extension arm we send out and package them carefully to prevent shipping damage. Bend arms are not returnable for exchange or refund. No exceptions!